The winning bidder was a judge. In fact he has won two years in a row, having bid very generously both times due to the Macmillan charity being close to his heart. 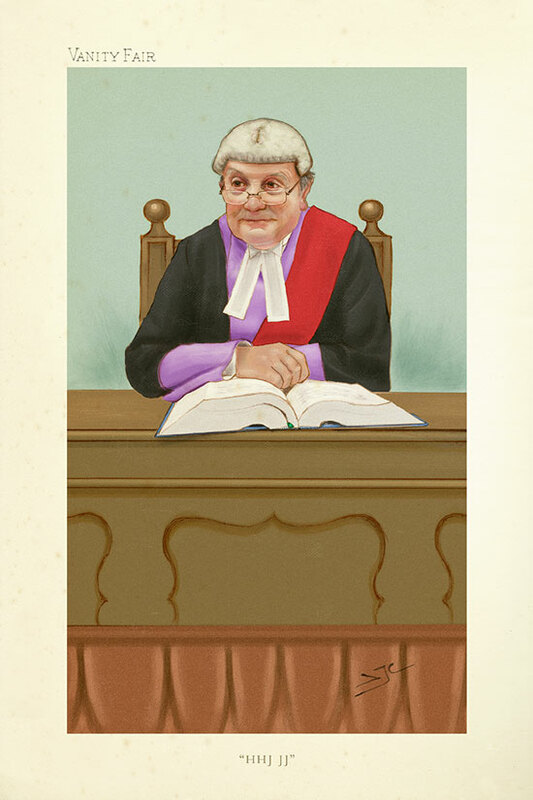 Last year he selflessly commissioned the portrait of a judge who didn’t win but was keen to have one of my illustrations. He decided he would treat himself this year.